Given my interest in African American persona poems, I've been fascinated by these public declarations where citizens take on the voices of others. Years ago, it was "I am Malcolm X." Last fall, it was "I am Troy Davis." And most recently, we've heard similar sentiments related to Trayvon Martin. 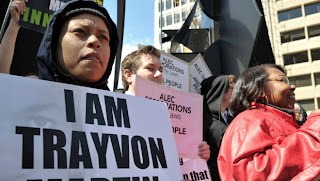 Among other things, the statement "I am Trayvon Martin" embodies the beginning of persona poems. A wide range of people make these passionate declarations that they are the 17-year-old black boy who was killed. Their statements signify solidarity with Trayvon and his family, and operate as political statements. But what else, I wondered, inclines people to take on the first-person perspective of someone other than themselves? Beyond political motivations, how does becoming Malcolm, Troy Davis, or Trayvon Martin serve people's personal, emotional, or intellectual interests? 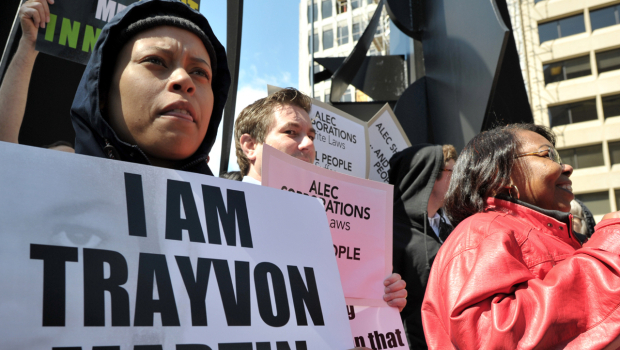 There's something literary with that use of the metaphor "I am Trayvon," right? For more than a century now, African American poets have composed persona poems in the voices of a wide range of figures, including Frederick Douglass, Harriet Tubman, The Venus Hottentot, Leadbelly, and several notable types. Over the last 10 years, this mode of writing has become even more significant as contemporary black poets have produced book-length volumes of persona poems. Perhaps there are links between why citizens announce that "I am Trayvon Martin" and why several black poets take on the first-person perspectives of enslaved people or noteworthy historical figures or characters. And maybe those poets and non-poets find something empowering about the practice of embodying the voice of someone else. There are likely intrinsic benefits to becoming or playing others that we might have to investigate a little more.